Sheffield Steel Products strives to be YOUR steel service center. Providing a flat rolled steel solution; when you want it, how you want it, and to the exact specification you want. As a long existing steel service center exceeding expectations is our passion! As a market leader in the steel service center space, Sheffield Steel will provide a flat rolled solution tailored to your manufacturing process and supply chain requirements. We are far more than an ordinary steel service center; we are your steel solutions partner. 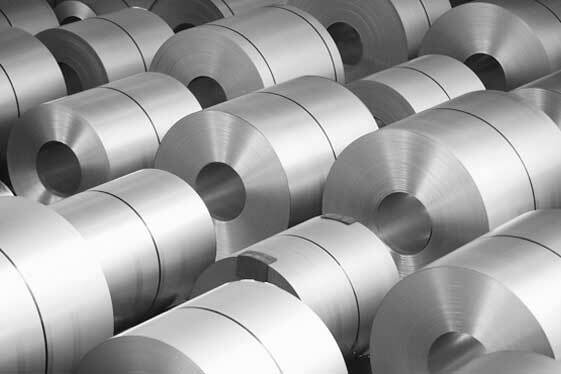 Sheffield Steel’s experience and resources enable us to carry a full spectrum of hot rolled inventory at all times. In fact, we are known for our flexibility and skill in acquiring..
Flat or Rolled Aluminum from Sheffield comes in a variety of finishes not limited to: Mill Finish, Brushed, One Side Bright, Painted, and Anodized. Pertinent market data provided at a glance. There are other organizations providing market data reports. However, Sheffield Steel Products delivers what matters in one comprehensive report.